You can find IRS itemized deduction categories on Schedule A. 1. Can I Deduct My State Income Tax Withholding & the General Sales Taxes Paid? 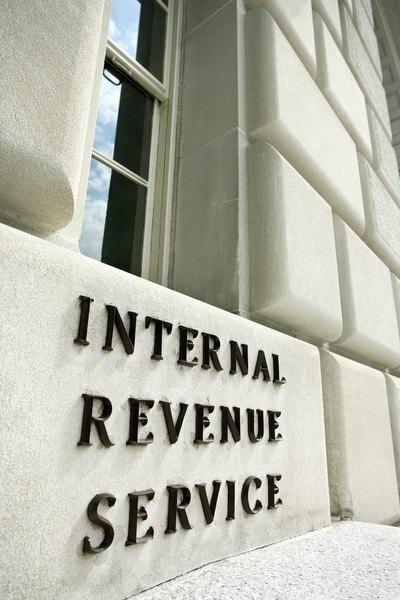 The IRS allows taxpayers and businesses to deduct certain expenses that decrease the filer's taxable income. Such deductions are only available if the person or business itemizes these expenses on Schedule A of their federal income tax returns. Then there are self-employment tax deductions. When you are self-employed, you must pay both your “employee” contributions to Medicare and Social Security, as well as the “employer” contributions that the employer pays for its permanent employees. The good news is that half of your “employer” contribution is tax-deductible. Whether you are itemizing personal or business expenses, keeping accurate records is crucial. If the IRS has any questions about your deductions, you must have receipts including amounts, date and services/products provided. The Tax Cuts and Jobs Act, signed into law by President Donald J. Trump on Dec. 22, 2017, raised the standard deduction to $24,000 for married couples filing jointly and $12,000 for single filers, while eliminating personal exemptions. That means far fewer people will itemize deductions on their tax returns – probably half of the roughly 30 percent who itemized deductions in the past. There also were several crucial changes made to deductible items. Formerly, all state and local taxes were deductible on the federal income tax form. Now, the cap on such deductions is $10,000. Homeowners who take out a mortgage after Dec. 14, 2017, can deduct interest only on mortgages up to $750,000, rather than the $1 million mark allowed in previous years. However, those homeowners who already have mortgages between $750,001 and $1 million may still deduct the interest, as their mortgage amounts were grandfathered under the new tax law. Homeowners planning to take out a home equity loan in 2018 are out of luck. The interest on such loans is no longer deductible, although deductibility is grandfathered for those who took out such loans in earlier years, with a major caveat. Such a loan must have been used to buy, build or substantially improve a home to remain deductible. If you previously took out a home equity loan to pay for a child’s college expenses, buy a car or use for any other reason, you can’t deduct the interest. Casual and theft losses, unless due to a federal disaster as per the president’s declaration, are gone for the length of time the tax act is in effect, which is until Dec. 31, 2025. Employees who had to move because of work previously could deduct certain moving expenses, but that deduction is gone under the act. Also gone are miscellaneous unreimbursed itemized deductions for work purposes. Deductions for tax preparation fees also have vanished. However, if you’re an especially generous person, you now can give away up to 60 percent of your adjusted gross income, as opposed to 50 percent in 2017, and take the charitable deduction. For 2017, the Bipartisan Budget Act of 2018, signed into law by President Trump in February 2018, retroactively restored several deductions for this tax year only. These include the deduction for mortgage insurance premiums, as well as the deduction for tuition and fees for a dependent child attending college if the parents met the income guidelines. This latter deduction was “above the line,” meaning that parents did not have to itemize to take it. It was supposed to expire at the end of 2016, but the budget act extended it for one more year. Will Your Tax Return Be Delayed if You Itemize?